This informative book is about a number of young people who have become engaged with bats. Some with saving bat habitats. Some with helping with research into bats, the diseases that affect them, or their behaviour. Some with working to help people understand the important role bats play in the ecosystems they live in, and educating people about the facts and myths about this elusive mammal. I've always been kind of interested in bats, first encountering them personally as a teenager at a summer cottage. After reading about them in Diane Ackerman's book The Moon by Whale Light, I developed a stronger interest. This book is a great way for kids to learn more about bats and the different species that exist from miniscule to ones with two metre wingspans. There are lots of pictures, including a poster that comes with the book, and the format has short single page articles on different bats, traits, and the defenders. There are also numerous sidebars of Bat Facts, and Batty Ideas that will appeal to kids. The final pages include a list of ways that the reader can help bats, organizations that help bats, and a glossary of terms that will help with understanding. 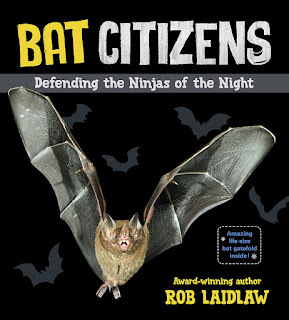 This will make a great addition to public and school libraries, and, hopefully, engage more young people in defending bats and their environment. This novel begins with Kelley Quinn, owner of the Winter Street Inn in Nantucket walking in on his wife Mitzi kissing Santa Claus. In this case, Santa Claus is the man they've hired for many years to play the role during the inn's Christmas festivities. The holiday season has already been difficult with Kelley and Mitzi's 19-year-old son Bart with the Marines in the Middle East. It is only a couple of days until Christmas, and no one has heard from Bart in days. Kelley isn't the only one with issues this Christmas. Two of Kelley's children from his first wife, Margaret, also live at the inn. Ava is a local teacher, and her boyfriend, a cabinetmaker, has gone home to visit his parents in Florida at the last minute. Ava knows his ex-girlfriend is recently divorced, and she doesn't feel secure in their relationship, so doesn't know how to interpret this behaviour. Kevin is a local bartender, with a life that doesn't seem to be going anywhere, and with a secret girlfriend, who springs a very big surprise on him. Kevin's had bad luck with love in the past, and isn't sure he can commit, even though he really cares about Isabelle. The oldest child, Patrick, has just realized that a big error of judgement on his part is about to catch up with him, and his wife has taken the children to her parents' place rather than deal with what he has done. Patrick has always been the successful, responsible one in the family and this is a big turnabout for him. One he doesn't begin to know how to deal with. 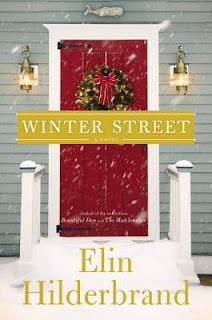 As each of them reaches out to Margaret for reassurance, assistance, or advice, Margaret realizes that her Christmas plans must change as well. This is the first in a series and introduces a number of interesting characters that will be interesting to follow. Even though he was born and grew up in Switzerland, Sacha's parent's, who escaped from Hungary, never really adopted Swiss ways of life, and yearned for their homeland. Once the wall came down and Eastern Europe became more accessible, his parents, although separated, both returned to Hungary. Sacha works as a journalist, and he began to hear a story about his great aunt's actions during the war. It is a story that horrifies, and Sacha finally begins to investigate the story as a tool to discover more about his own history. When his mother died, he was given all her papers, but he hadn't looked at them until now. Shortly before she died, she had started to write down some of her memories of the war years, and he is drawn to an incident that seems to reappear often. The incident is of an encounter between her father and a local Jewish couple. This leads Sacha to try to find out more about this incident, and what really happened and he looks for people connected to it. One of the children of the couple is still alive in South America, and he first makes a connection with one of her daughters, and finally with her in person. The knowledge of this history is one that captivated Sacha for a long time, and led him to many insights. I found his story very interesting both on an historical and a personal level. This novel is part of a series featuring Tracy Crosswhite, a Seattle detective. Tracy and the rest of her unit, are called in to investigate a hit and run. There is no real reason to think it is anything but an accident, but the victim, D'Andre Miller is a young black teen, and the SPD is mindful of the political issues surrounding such a death. As the investigation moves on and the vehicle of an off-duty US serviceman is linked to the death, questions that are hard to answer begin to arise. 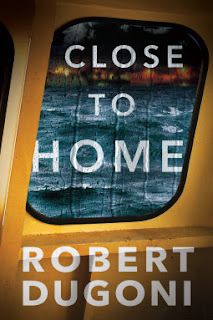 The Navy petty officer, Lazlo Trejo, is keeping secrets, but his silence leads Tracy to start wondering about his actions and what he could be hiding. She is determined to bring him to justice, especially after the case is transferred to the Navy and things start to go wrong. Tracy has her own history with loss, and is determined not to leave the Miller family without closure. Lt. Leah Battles is the navy lawyer assigned to the case, and she is a determined professional who has fought for her promotions, using her skill to represent each case she is involved in with everything she has. When things start to go wrong, she falls under suspicion, but Tracy begins to wonder if Leah is just a convenient fall guy. During this time, Tracy's partner has faced a health issue of his own and is frustrated to be sitting on the sidelines, when he is a man of action. One of the other members of Tracy's unit, Del Castiglione, is grieving the recent death of his niece by drug overdose, and looking for revenge against those who supplied her with the drug. As he and his partner Vic Fazzio continue their investigation into the drug's origin continues, he connects with a new-to-the-area lawyer in the DA's office who has also experienced the tragedy of losing a family member to drugs. Her views on solutions are different than his, and Del begins to move through his grief. 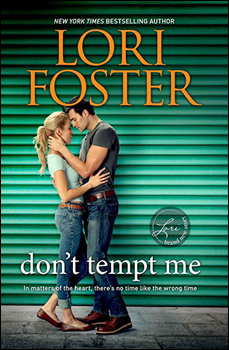 This is the fifth book in the series, but the first one that I've read. I really enjoyed it, and want to know more about thiese characters. This picture book is a bedtime book for the very young. The baby pictured on the cover with help from his big sister goes through the steps in a bedtime ritual. They begin with cleaning up their toys, then have a bath, dry off, and brush their teeth. This is followed by putting on cozy pajamas, a storytime, and a goodnight kiss and hug. 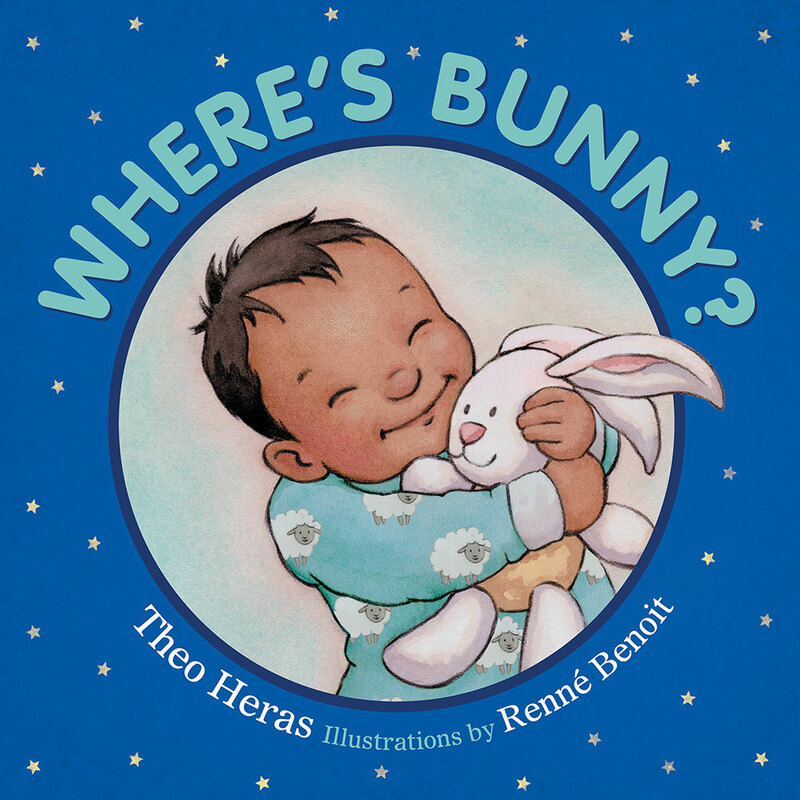 At various points in the book, the question "Where's bunny?" is asked, and each time this is asked, there is an opportunity to look for the bunny in the drawing on that page. Most children have a stuffy of some kind that is a favourite bedtime pal, and this let's that be part of the ritual as well. There is a bedtime checklist in the front of the book that reinforces the routine the children go through in the book, and a teeth cleaning checklist in the back of the book. Bedtime books are a great way to introduce routine to children, and make getting ready for bed a pleasant time. The drawings here show happy and content children at each point in the routine to help with this message. I really think the drawings are so cute. I also liked that the book showed diversity without being about diversity. This book is a great choice for little ones. 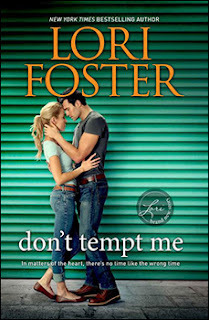 This romance also has a little bit of mystery and a bit of danger to add to the interest. Honor Brown has recently bought her first house and the book begins with her and her best friend Lexie moving her stuff into the house. As they arrive, they draw the attention of the next-door neighbours, who Honor hadn't seen when she'd bought the house, or did the clean-up and minor repairs prior to moving in. They consist of Jason Guthrie, a wood craftsman, his older divorced brother Hogan and Hogan's teenage son Colt. Hogan and Colt are living with Jason while Hogan finds a job and gets back on his feet. Honor has family, but isn't close to any of them except her grandfather, who raised her. She is a very private person and doesn't like to share her problems with people. She just works hard and gets on with things. Lexie has been friends with her since they were kids, and knows her situation and her bent towards not sharing information. Jason is drawn to Honor, but wonders at her odd hours away from the house, and her resistance to any help others might offer. To add to the mix are a couple of other young single male neighbours, one directly across from Honor who runs a martial arts studio, and the other the local sheriff, only a year into his first term. 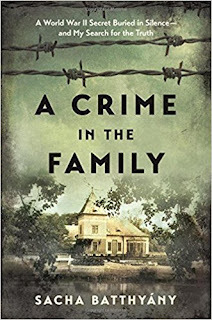 The neighbourhood is one that is only beginning to recover from it's crime-ridden past, and all the men worry about a young woman living alone there. The house that Honor lives in sat empty for years before she purchased it. With the reader only learning about Honor's life gradually, and with not only Honor's romance with Jason, but also Lexie's love life, there is lots going on here. The messages are positive, about good neighbours making a community, and how accepting help sometimes is the best way forward. This collection of letters was written to Otto a refugee from Austria, who came to live at the vicarage in Chiswick with Molly and her family in early 1939. A little more than a year after arriving, Otto, like many young men from Germany and Austria was interned as an enemy alien. At first Otto was interned in England, but then in Australia, and finally back in England again. Eventually, he was released an joined first the Pioneer Corps, and then the Army and fought in the war. To Molly, he was like another son, and she corresponded with him in that manner. She tried to keep him focused on the future in a positive way, and used what means she could to find out where he was and advocate for him. Otto saved the letters and it was only in 1974, after Molly's death that he mentioned them to Anthea, Molly's youngest child. The letters numbered over 600, most of them typed. Only some of them are included in this book. 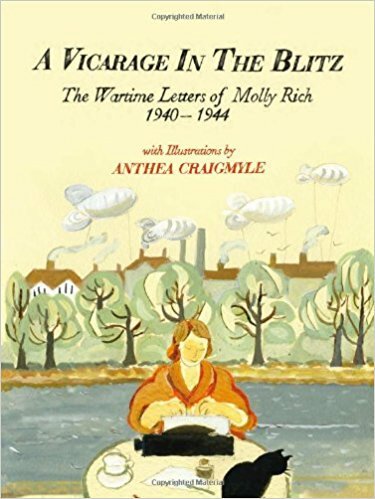 Molly was aware of the censorship of letters during the war and tried to avoid including anything that might cause an issue in that regard, telling Otto of goings on in the household, with friends and neighbours, and general news. 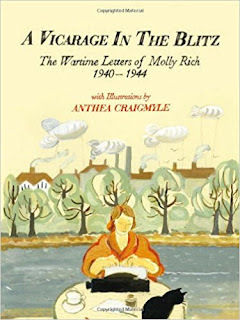 As a vicar's wife, Molly was very involved in her community, and housed a number of other war refugees, both domestic and foreign, during the war. She worked for a variety of charitable causes, kept a victory garden, did fire-watching, and worried about her children who were either away at boarding school, or evacuated to the country where Molly's mother lived. The letters are chatty, with lots of everyday information, war worries, and concern for Otto's wellbeing. The book includes photographs, a map of Chiswick, and a list of the various people mentioned in the letters, with a little about them, along with wonderful drawings by Anthea related to the letters' content. At the back of the book are two appendices, the first listing incidents in Chiswick caused by enemy actions. The second is a timeline of the war, with events that affected Molly and her family. Anthea enlisted a friend with editing experience to go through the letters and help decide what to include in this book. Other than correcting spelling, the letters are unaltered.